Marsh, James H.. "In Flanders Fields". The Canadian Encyclopedia, 02 November 2018, Historica Canada. https://www.thecanadianencyclopedia.ca/en/article/in-flanders-fields. Accessed 19 April 2019. One of history's most famous wartime poems, "In Flanders Fields" was written during the First World War by Canadian officer and surgeon John McCrae. One of history's most famous wartime poems, "In Flanders Fields" was written during the First World War by Canadian officer and surgeon John McCrae. It helped popularize the red poppy as a symbol of Remembrance. When he volunteered at age 41 for service in the First World War, McCrae wrote to a friend that "I am really rather afraid, but more afraid to stay at home with my conscience." In April 1915, McCrae and a young friend, Alexis Helmer, joined the 18,000 soldiers of the First Canadian Division in their positions near Ypres, Belgium. The Second Battle of Ypres commenced on 22 April and lasted for six hellish weeks. It was during this battle that the Germans launched the first large-scale poison gas attacks of the war. A Montréal physician, McCrae served as a major and a surgeon with the Canadian Field Artillery, in the Canadian Expeditionary Force. Ypres was the Force's first major engagement of the war. He died of pneumonia at the hospital of which he was in charge in 1918 (courtesy Library and Archives Canada/C-19919). "The general impression in my mind is of a nightmare," McCrae wrote to his mother, "... And behind it all was the constant background of the sights of the dead, the wounded, the maimed, and a terrible anxiety lest the line should give way." On 2 May, Alexis Helmer was killed. Because the brigade chaplain was absent, McCrae — as the brigade doctor — conducted the burial service for his friend. Later, at Helmer's grave, he wrote a few lines of verse that were the beginning of the poem "In Flanders Fields." Before the war, McCrae had written poetry in Canada, and some of his work had been published there. 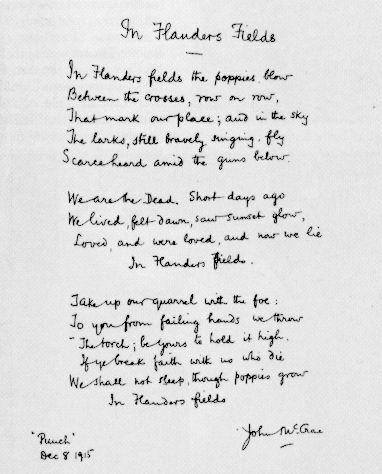 McCrae later sent a finished copy of "In Flanders Fields" to The Spectator magazine in London, where it was rejected. But a journalist who visited the field hospital where McCrae was serving at the front, took a copy back to Punch magazine. Punch printed it — anonymously, without McCrae's name — on 8 December 1915. Within months it was republished in other sources, with McCrae's name attached, and quickly became the most popular poem of the war. Its powerful use of the symbol of the poppies blooming from the churned earth led to the tradition, to this day, of the poppy as a symbol of remembrance for those killed in service. 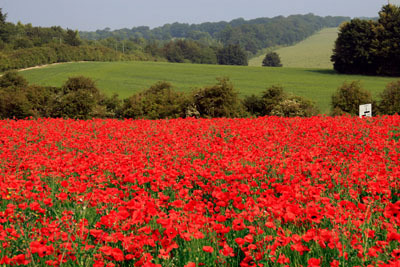 By 1917, "In Flanders Fields" was known throughout the English-speaking world. It was used to further the war effort, to raise money for the troops, and to help recruit American soldiers as the United States mobilized to enter the war. 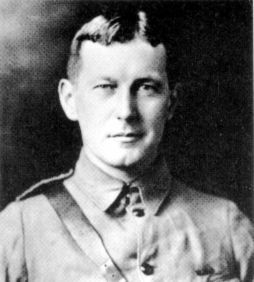 John McCrae soon became a household name in the US. 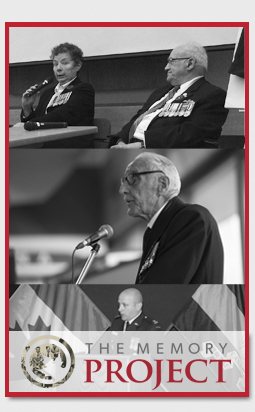 Today, McCrae's poem is read by millions in Canada and around the world each Remembrance Day. There have also been various settings to music, among which that of William Hewlett is used during Remembrance Day ceremonies in Ottawa. (See In Flanders Fields Music.) A history museum in the ancient Cloth Hall in Ypres (now Ieper), Belgium, is named after the poem. The special exhibition gallery in the Canadian War Museum is also named for McCrae. Composed at the battlefront on 3 May 1915 during the Second Battle of Ypres, Belgium. Red Poppies in Flanders today. The poppy became a symbol of Remembrance Day thanks to the famous poem \u0093In Flanders Fields,\u0094 written by Canadian John McCrae (photo by Joseph Moore). Dianne Graves, A Crown of Life: The World of John McCrae (1997); John Prescott. In Flanders Fields: The Story of John McCrae (1985). John McCrae's War: "In Flanders Fields"A review of the documentary film John McCrae's War: In Flanders Fields. From the Manitoba Library Association.